The end of the year is sacred to so many people in so many ways. I love how this time brings hearts and minds in tune with things of abiding worth. Even those whose hearts are heavy with loss or loneliness feel so because of the inherent combination of introspection and fellowshipping that this season engenders. 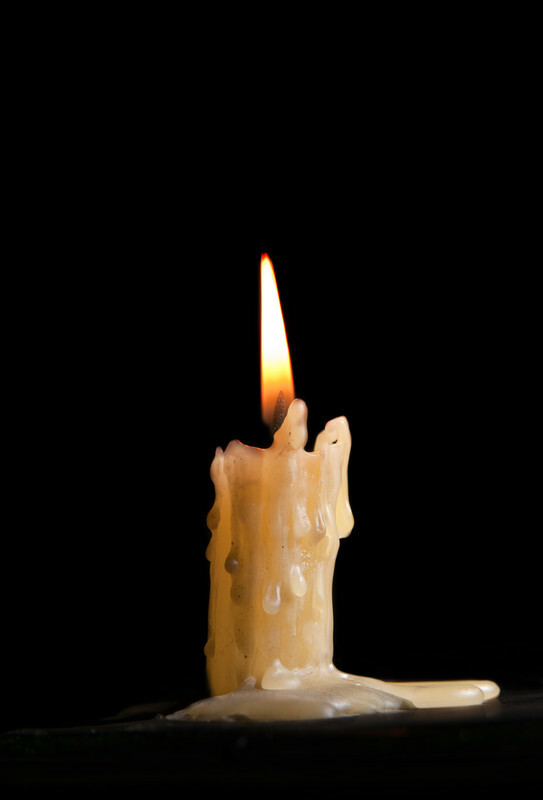 We seek for light, beauty, and a spirit of selflessness. We make amends; we make cookies. There’s a lot more singing. Like Dickens’ Ebenezer, we feel a sense of benediction on the year – and years – past. There is an inward sigh as we are prepared for a letting go of things and ways, of thoughts, attitudes and habits that no longer serve us. Our sentiments begin to move with optimism toward the renewal of the coming year, and the beginnings that will guide our future. 1. I wish for us a grateful heart. Gratitude is the soul of happiness, and the great attractor of all that is good and right. It brings balance to our desires for betterment, and serenity to our embracing of what is. 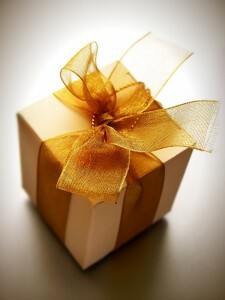 It is acknowledgment of a higher power in our lives, and trust in its goodness. It makes others delight in associating with us, and gives us rest from our disappointments and worries. Gratitude allows us to accept challenges with grace and optimism, and to edify others who interact with us. It empowers us to act with confidence and purpose. I wish for us a grateful heart. 2. I wish for us a selective ear. There are many voices that would teach us, counsel us, tell us what to think about ourselves and our choices, and about others and theirs. I wish for you and me the will and power to give due heed to those voices that should be our wise and loving counselors, and to dismiss those that are anything less. As we learn to discern and select the voices that are the servants of true happiness, we will be empowered to graciously and humbly receive counsel (no matter how mild or difficult) when it is wise to do so, and to focus on what is right to do, when and how, without distractions from other sources. I wish for us a vision of our purpose and mission sufficient to help us recognize the guidance that serves our needs. I wish for us a selective ear. 3. I wish for us an overwhelming desire to do The Next Right Thing. Aspiring to our ideals means changing. It means acknowledging what we want to do differently, how we want to be in a future time. I wish for us the energy and serendipity to engage our personal journey with loving kindness toward ourselves and others, forgiving past shortcomings, embracing frail attempts, and rejoicing in our own and others’ persistent will to become more than we have been to serve better than we have done. I wish for us the wisdom and discernment to know where to focus our goals and efforts, how to proceed with focus neither too broad nor too narrow. I wish for us patience in doing the small and simple things that lead to our success, and an uplifting sense of purpose and hope that will inform our daily choices and bring our ideals into being in our lives. I wish for us clarity on what is the Right thing to do Right Now, and the resolve to do it just so. And the same clarity and resolve for each today as we live in the present. I wish for us the desire to do The Next Right Thing. What are your wishes? Why are they important to you? What thoughts, attitudes, choices and actions will make them a reality in your life? 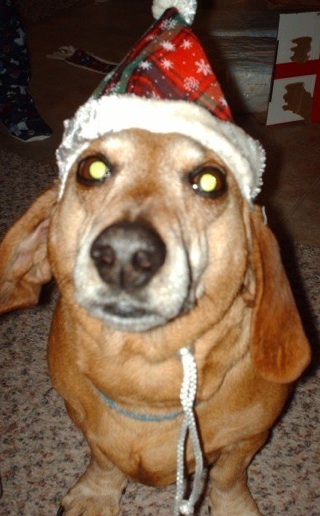 Merry Christmas from Laddie and the rest of us! I’m feeling the warmth of this season quite deeply this morning. I would freely pass out hugs, kisses and warm cider if you were to come to my door right now. Please know that my family is richly blessed by the way you live your life.Your desires to be a blessing to your family and your community matter. Your intentions have substance, and are working within you and those you influence to build a better home and world. There are things you do that impact others for good – things you may not realize. I thank you for being a part of the great reweaving of the fabric of our society. Love really is this answer. Truth really will prevail. Freedom will ring. We invited 100 homeschoolers of every stripe to have a look at our This Week in History subscription, and we couldn’t have been more tickled about their response! 100 out of 100 gave a very favorable review. “Our whole family has enjoyed This Week in History from TJEd.org. There are many beautiful photographs and illustrations that keep little (and big!) eyes engaged. The content has always been appropriate and inspiring. “I am thankful to have the opportunity to expose my family to the well-researched topics in TJEd.org’s This Week in History. It is a wonderful, ready to go, quality resource waiting for our family to use. “We also enjoy the author including personal touches in various lessons, such as adding ‘this is a place’ she grew up, personal favorite literature books, and so on. Those comments bring the content down to a personal level and provide a connection to the author that we enjoy. “We have found some lessons are easier for older students to grasp, some seem geared more for younger students, but they are all adaptable and enjoyable for any age group. “Topics covered using “This Week in History” include math, science, language skills, geography, current events, the arts, and much more. All subjects covered are tied to events in history. And there’s no need to worry that the subject you’d like to study won’t be available for the week you need it; you can search by date, topic or keyword to find exactly what you’re looking for. “This is somewhat similar to a today-in-history calendar, but it’s really different than any resource I’ve come across in my years of homeschooling. I started digging around the website right away and I was pretty impressed right from the get-go. “I found a TON of ways to incorporate TJEd.org into our homeschool easily – and ease is pretty key to maintaining my sanity, I’ve come to find out! “In fact, this resource completely fulfills a request of my husband’s from a few years back. He wanted me to find a way to eliminate ‘down time’ when our children’s assignments were done, but didn’t want to fill that time with busy work. “I’ve seen a lot of calendars with a “this day in history” feature. We’ve had printed ones that hung on our wall for a year. Sometimes, we would actually remember to look at them and read the event for the day. I’ve seen others online. Generally, they are a single fact or two. Kind of interesting, but we read them and move on. 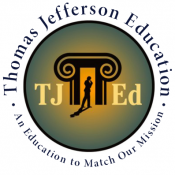 “Initially, I thought that Thomas Jefferson Education’s ‘This Week in History’ would be the same. Well, I was wrong. I think I’ve found something that we’ll stick with! “A subscription to ‘This Week in History’ allows the user to access the weekly information online or in weekly emails. I like the email format because, with the information in my inbox, I’m less likely to forget about using it. “This week in history is accessible either on the website or in your inbox as an email! Super convenient and easy to use. I am from a history geek family, so I really enjoy reading the emails and seeing what was happening on that day. “Often as I read the email, I share with James what event happened that day in history and show him some of the photos or check out the links.As we get into the swing of full time school this fall, I’m looking forward to using it to enhance areas we’re currently studying as well as to add in some fun projects. “Each day is like a unit study already put together for you. Many days include a few links or ideas but many of them include a ton of links and resources. I appreciate having them ready to go so that all I have to do is pick and choose. “As I read through the emails, I’m impressed with the level of detail and work involved in preparing this resource. It’s full of links and ideas. The email is not ‘chintzy’. 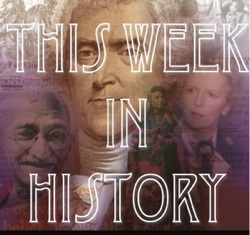 This Week in History is a daily resource that brings your home school or classroom to life! For just $14.99 per month, you have the world of learning available to help you lead and inspire your students to explore, learn and and excel!